Poke (pronounced “poh-kay”)is a raw salad found in Hawaiian cuisine. Fresh, healthy, and tasty, it is a popular dish that is served at all varieties of meals and get-togethers, and found almost anywhere on the islands, from fancy restaurants to neighborhood grocery stores. 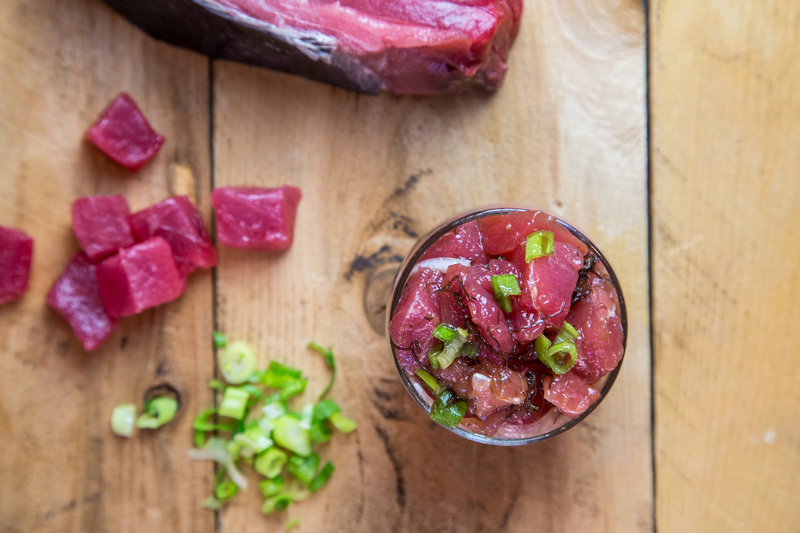 The most common poke is made with ahi tuna, but it can be found in many different types and flavors. We offer a variety of fish options, as well as a vegetarian tofu poke. Ask us about gluten-free options! As seen on Insider Food, our Pokecado Toast combines the best of two worlds. Whether you add your favorite poke to our delicious avocado toast or choose one of our Signature Toasts, Pokeatery’s Pokecado Toast will have you coming back again for that perfect “anytime is Brunchtime” treat. Thank for visiting pokeatery.com! Inspired by our love of the Hawaiian islands, we wanted to bring some of our favorite flavors to our own neighborhood. As one of our absolute favorite foods, poke is a staple that can be found almost anywhere in Hawaii, but is less ubiquitous on the mainland. We want to offer a place where anyone could come and enjoy great poke bowls as a meal whenever they crave it. Coming from a family background with over 20 years of experience in sushi restaurants, and a great love of fresh fish, we decided to start Pokeatery. Our goal is to provide great tasting poke made with the highest quality ingredients, and serve it with a smile. We hope you enjoy!